I have never had a conversation with anyone who speaks as eloquently, artistically or passionately about architecture and design as Evan Douglis did when we spoke over a year ago. Despite the time passed, his metaphors have stuck in my mind and continue to reveal themselves to me as I walk around our fine City. I remember the night I left the studio after I spoke with Mr. Douglis; eyes up and mind open to the immense possibilities brought to the world through architecture and design. Begin on your path to urban enlightenment and listen to Evan unfurl the “beautiful tweed” of architecture and design as he expounds upon emerging technologies in design, the relationship between architecture and legacy, architectural rigor in terms of chess, and more. New York City artist Barbara Lubliner came into the studio last week to talk about the exhibition she curated at the Ernest Rubenstein Gallery at the Educational Alliance on the Lower East Side, “Upcycled,” which opened on December 8th and runs until January 20th. 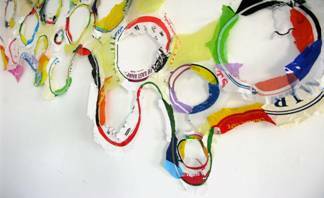 All the drawings, sculptures and installations in the show are made from plastic post-consumer waste by Olivia Kaufman-Rovira, Bernard Klevickas, Shari Mendelson, Janet Nolan, Ilene Sunshine, Tyrome Tripoli and Barbara Lubliner herself. As much a commentary on our daily consumer habits, the exhibit opens up a whole new level of the creative play possible with the materials we have most handy. A few educational programs will also take place in parallel to the exhibit after the New Year, including an artist talk on January 12th and two hands-on workshops on January 2nd so anyone can learn what it means to “upcycle” and make art of what is trash in any other circumstance. For more information about “Upcycled” and the programs that accompany it, you can visit the Educational Alliance’s website here or take a stroll to the Ernest Rubenstein Gallery at 197 East Broadway, New York, NY. Luke and I are excited to welcome Sedera, our new co-host, to Citywide. Listen in in the next couple of weeks to hear from the lovely Miss Sedera Ranaivoarinosy. Additionally, Luke will be spending the next semester in exotic Buenos Aires. We will miss him terribly. I, well, I’ll be around. We all must go with the ebb and flow. Tammy and Sasha came into the studio a few weeks ago to talk with me about the gallery they run together, Proteus Gowanus. I originally heard of Proteus Gowanus through their Fixers Collective, a group that meets at the gallery during which people come together and, well, try to fix things. The Fixers Collective is just one of many projects-in-residence at Proteus Gowanus, amongst others such as the Morbid Anatomy Library, The Writhing Society, and the Hall of Gowanus. In Greek myth, Proteus was a sea god with the power to shape-shift in order to avoid answering questions. 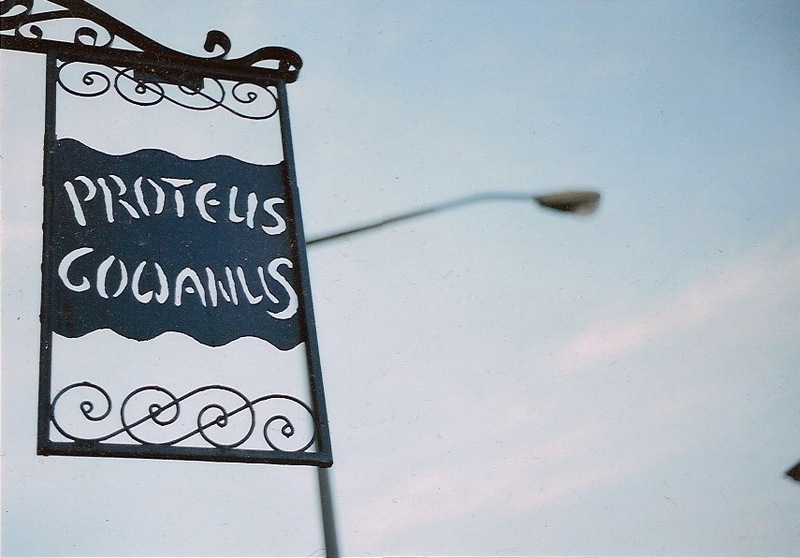 With all of its eclectic eccentricities, one cannot really define what Proteus Gowanus is. According to Tammy and Sasha, it is an interdisciplinary gallery and reading room, but it seems as though that doesn’t even do it. All Generation Y’ers: do you know the feeling when you read about someone who’s within your general age bracket, yet has accomplished what most people hope to accomplish in a lifetime (read: Mark Zuckerberg, 26, net worth: $ 6.9 billion, Taylor Swift, 20, 4 Grammy’s including Album of the Year), and you just feel like crap? Well this is sort of how I felt when sitting down with Alden Ehrenrich, Zoë Worth, and Brian Williams of The Collectin, minus the feeling like crap bit (read: their spread in Vanity Fair). 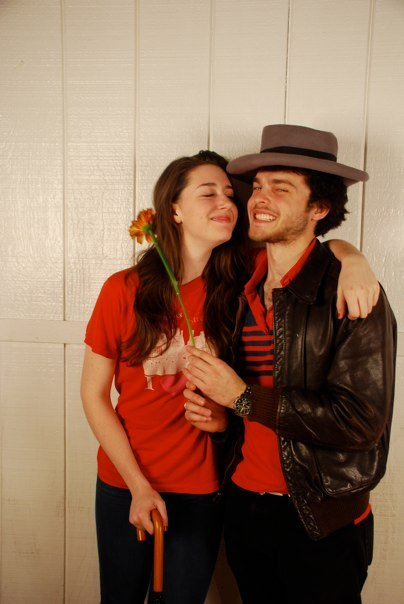 Alden and Zoë, the co-founders of The Collectin, along with Brian, the Head of Production, exude such enthusiasm towards the theater and film collective that it’s impossible to feel anything but happy–hell, excited for them. Working off their collective hostility about the insularity of academia, they’ve assembled a group of 30-or-so budding theater and film students who, as I imagine, feel and act as passionately towards the group and its projects as Alden, Zoë, and Brian do. Listen in for their input about the upcoming performance Running Scared: The Technology Show and why [the clothing brand] FUBU’s mission statement is integral to their project. This article about the waning life of college radio stations was sent to me by a friend; the perfect way to kick off a snowy and gray Monday morning. Hoepfully NYU has no plans of the sort. We here at WNYU love what we do way too much. It’s an ethereal feeling being at the station before 9 am, even when/especially when walking in to Indie or Outie host Christine pumping Grizzly Bear’s “Knife” through the office speakers. Happy Monday ya’ll.